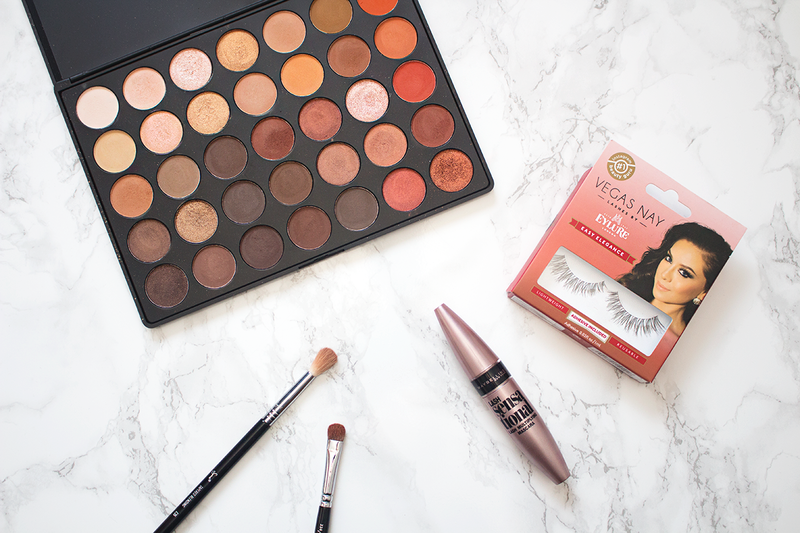 Bright auburn eyes, the perfect introduction to Autumn tones. On my brows I used my NYX Tame & Frame Brow Pomade in Brunette and my Essence Make Me Brow Gel to hold the hairs in place. I primed my eyes with the Urban Decay Eyeshadow Primer Potion. To highlight my brow bone, I used the second shade along from the top row, with a tiny bit of the third shade along. The more glittery shade just adds a pop of shimmer to really bring out the highlight. 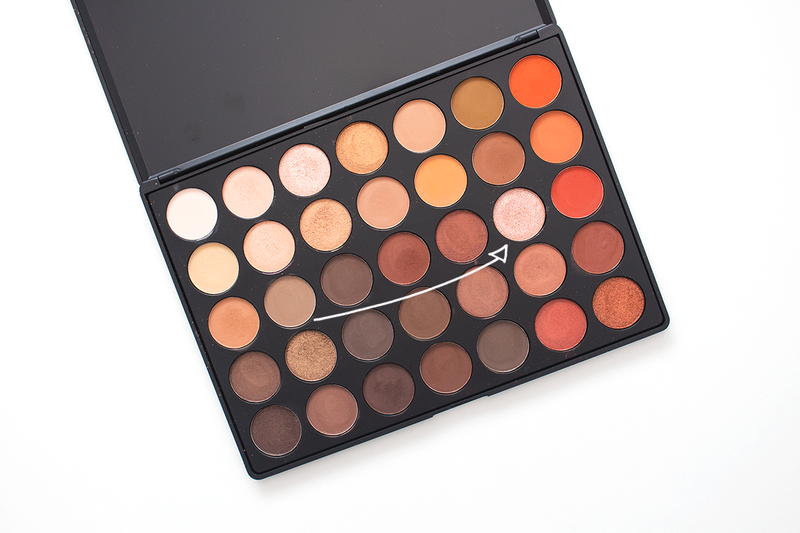 I went in with this light caramel shade from the third row down and applied it into my crease and blended it all over. I also applied it under my lower lash line. I used the fourth shade along from the third row down, which is a deep warm brown, in my outer V to get a smoked out effect as well as to deepen my crease. I also slightly darkened my lower lash line with it too. 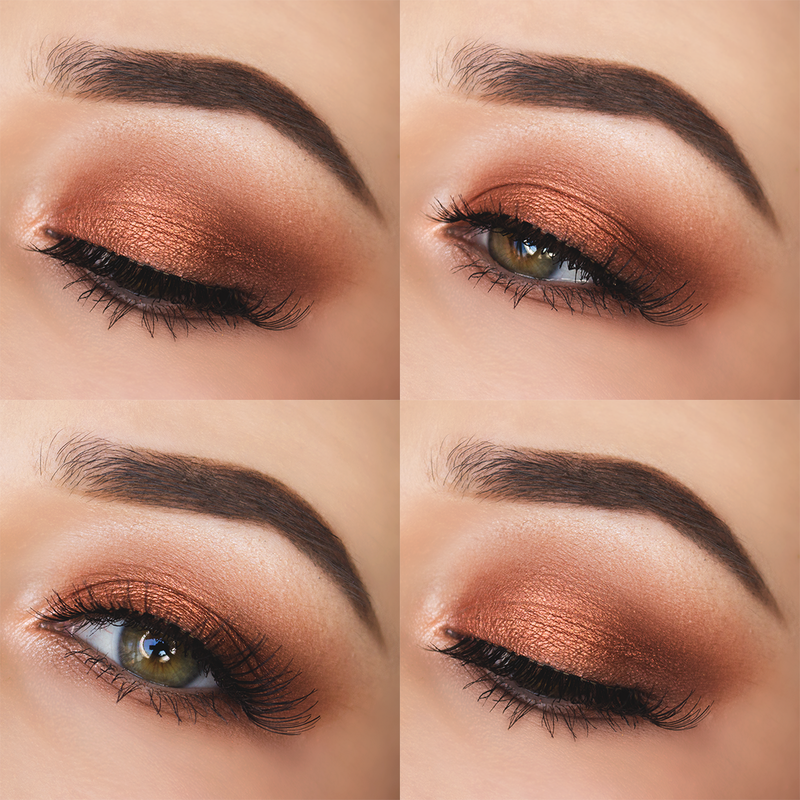 I then applied this gorgeous deep glittery orange shade from the bottom row all over my lid and blended it all together to get a seamless finish. From the third row down, six along, I used this light glittery pink shade to highlight the inner corners of my eyes. It's so so pretty and gives the most gorgeous glow. I then coated my lashes with my Maybelline Lash Sensational Mascara and put on Eylure's Vegas Nay Easy Elegance Lashes.